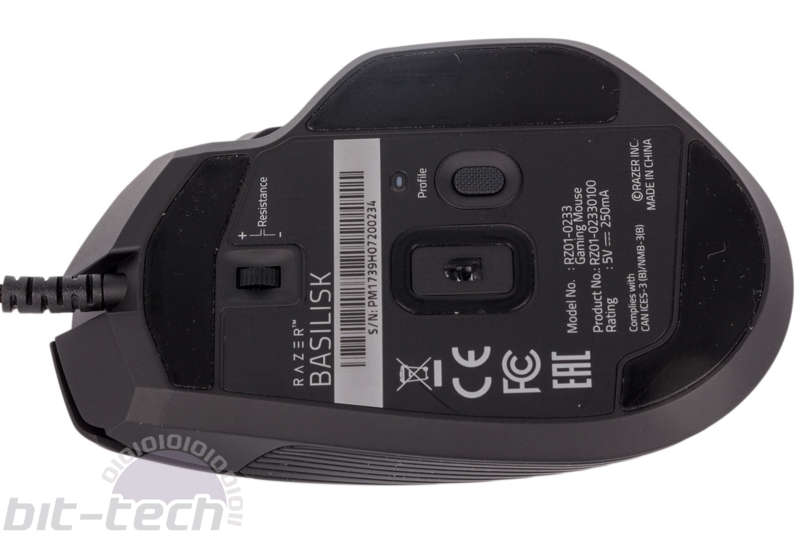 The Basilisk is a mouse that specifically targets FPS gamers. 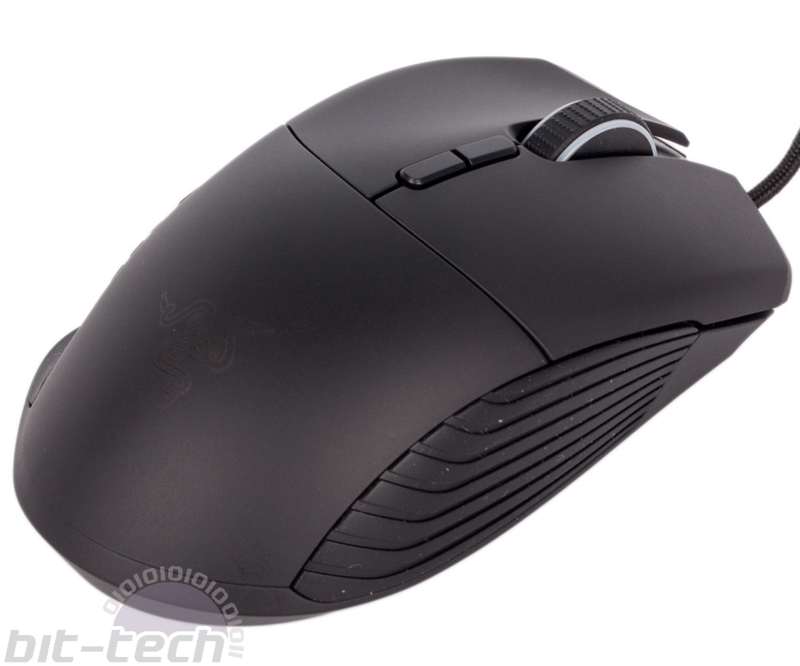 In fact, Razer boldly calls it the ‘world’s most advanced FPS gaming mouse’. As a result, it’s not as button-heavy as other options in its roster, although its eight programmable buttons mean it can still do some heavy lifting in this department. It will also need to be precise, nimble, and comfortable – let’s see how it gets on. 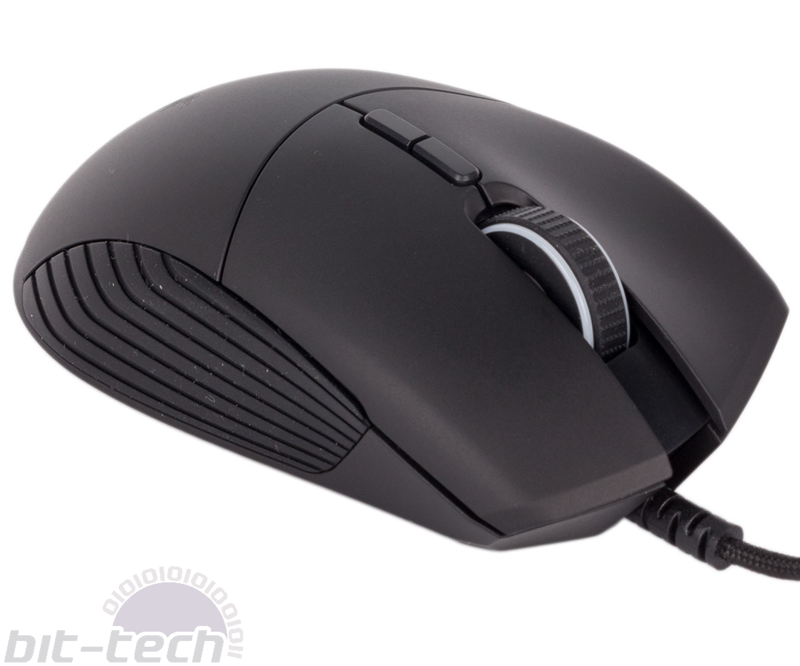 Like most mice, the Basilisk is designed for right-handed gamers and has an ergonomic, crafted design to suit. I personally found it to be a very nice fit for my small hands, and the 107g weight felt well judged. The thumb and index fingers have contours that are nicely shaped for their respective digits, and the downward slant towards the right feels natural. The rubberised, textured sides allow you to hold it securely, even on the right where support for your ring and pinky fingers isn’t there. Meanwhile, three Teflon feet keep glides feeling smooth. 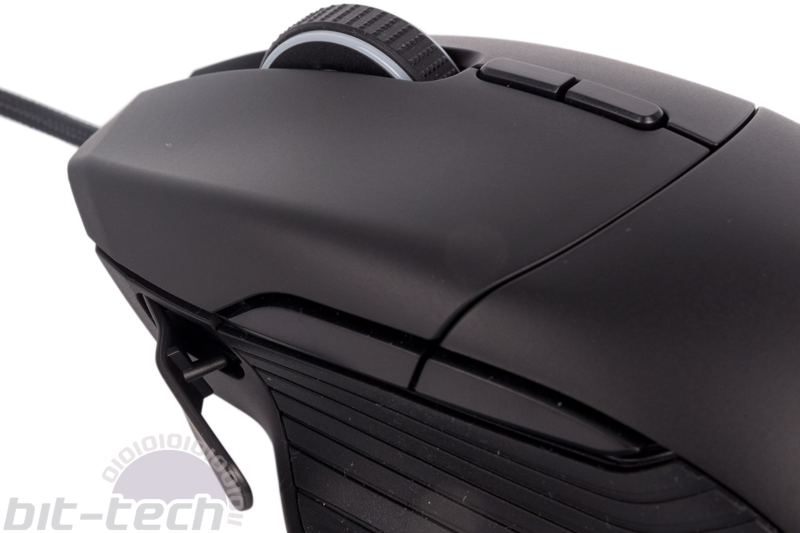 One of the key features of the Basilisk is its scroll wheel, specifically its adjustable scroll resistance. This is achieved by a small wheel on the bottom, and it impresses. The range of resistance is excellent, from big clunky steps down to a level where they’re indistinguishable, and it won’t take long to find your ideal level. Switching weapons with the wheel is a key FPS function, so while this may be a small thing for many, it is something a little unique that helps it to stand out for fans of the genre. Note that the resistance of actually clicking the wheel doesn’t change, just the scroll steps. Another advertised feature is the DPI clutch. This is nothing new, but it is welcome on an FPS mouse. Basically, it allows you to temporarily lower the DPI while the button is held down, which means you can instantly and intuitively get higher accuracy when sniping, for example, in order to more easily line up the perfect shot (it can also be handy for precision work in Photoshop or similar). The button is positioned so that it sits at the tip of your thumb for near-instant access. I found that my thumb had to stretch just a little bit more than I’d have ideally liked, but it was easy and still comfortable to adjust my grip to accommodate for this. The default button can be easily swapped out for a shorter one if you have longer thumbs or even a blanking bit of rubber if you don’t want to use it at all. The other two normal thumb buttons have a light, crisp action., and they’re easy to reach. Razer deploys its 16,000 DPI 5G Optical sensor, which is a tweaked version of the Pixart PMW3389. Such a DPI level is ludicrous for basically any activity, but especially FPS games. We really can’t see anyone using anything near this level, but in many ways this is just a numbers game. Thankfully, at more realistic levels it also functions perfectly fine. Jitter is well controlled, and there doesn’t appear to be any built-in unwanted effects like angle snapping or acceleration. 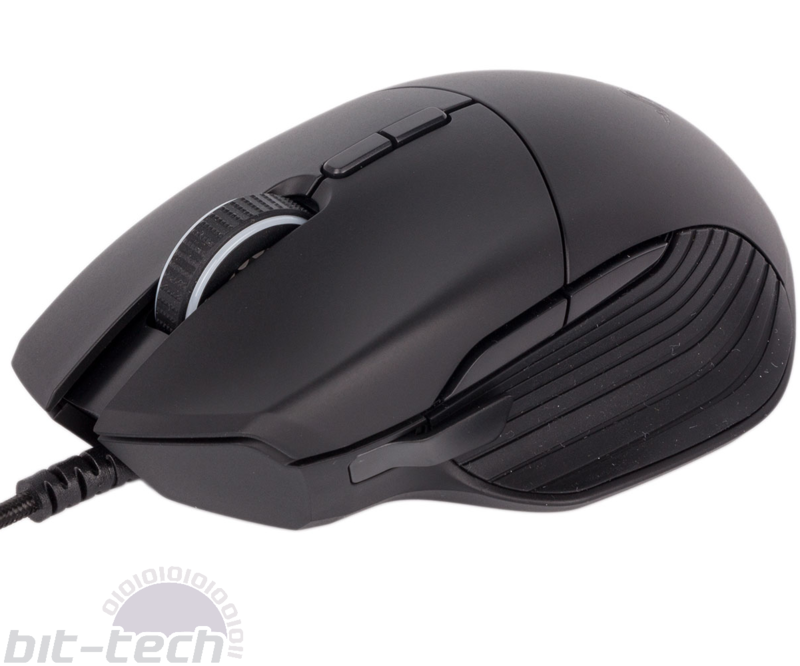 The DPI is tweakable in increments of 50 starting at 100, and polling rates of 125Hz, 500Hz, and 1,000Hz are supported. 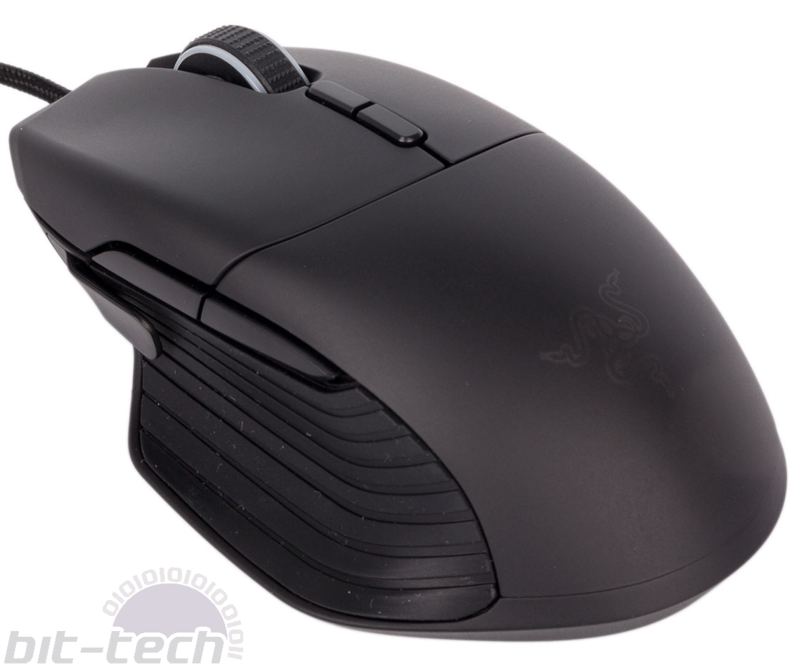 Razer calls its switches Razer Mechanical Mouse Switches, but again these are co-developed with a third party. Thankfully, that company is Micron, and the two main clickers feel great. As you probably know, Razer is all-in on RGB, so it’s no surprise to find a couple of RGB lighting zones on the Basilisk – the scroll wheel and the triple-headed snake logo at the back. As ever, this is managed through Razer’s software package, Synapse, which is now at version 3, albeit in beta form.